On the October 24 broadcast of MBC’s “Radio Star,” Lee Hyun talked about his label mates BTS. RM, on the other hand, is a bit harder to joke around with, said Lee Hyun. “He’s charismatic, and he’s incredibly smart. 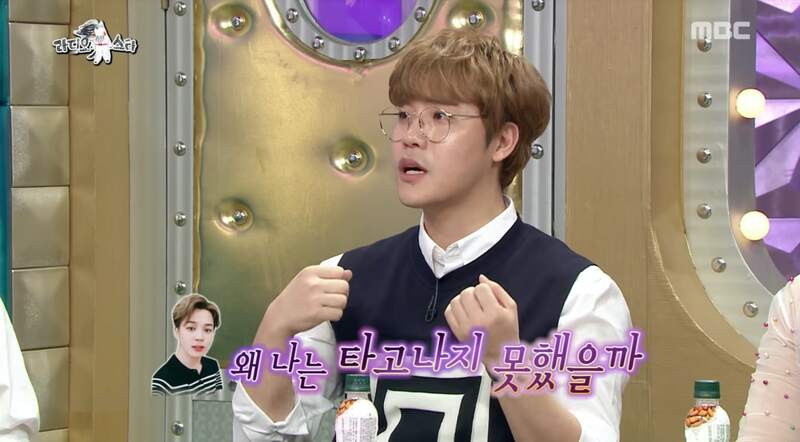 So if I try to joke around with him, I’m afraid I’ll just feel small.” The MCs teased him and — referring to a story that Kim Gura told earlier about someone younger than him suddenly calling and cursing at him — said he should jokingly curse at RM as a senior to break the ice. “Say I were to do that, RM would probably just say ‘Okay, hyung,’ and go on his way,” said Lee Hyun.